The best touchscreen car stereos have it all. They can run your phone’s apps through Bluetooth, stream video and audio files (music) from USB drives, and hands-free calls, among other special features that vary between models. 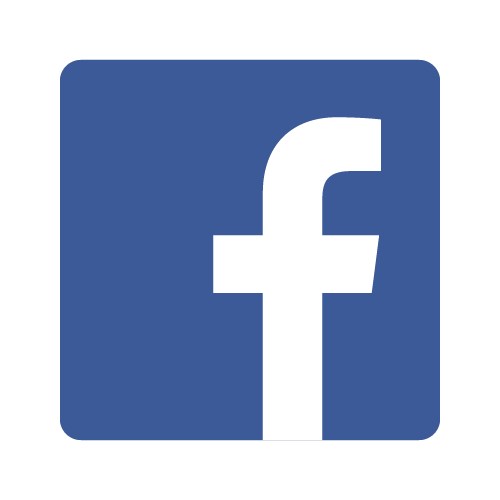 AAC, FLAC, MPEG, MP3, WMA, WAV, Avi, DivX. Because of the increasing demand for better touchscreen radios, most individuals have today resorted to installing the improved version in their cars. We’ve therefore prepared a buyer’s guide on the best touchscreen head units on the market today. 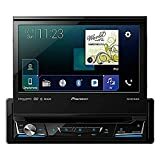 For several years now, Pioneer has built a great reputation for providing the best technology and features that driver may need to realize the full potential of their car stereo system. 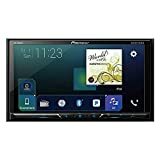 In that vein, the Pioneer AVH-2300NEX DVD receiver with 7″ WVGA Clear Resistive display has been one of best touchscreen car radios in its line of the latest stereo systems. Its design and functionality are meant to emulate today’s smartphone drive lifestyle. It offers an innovative and influential new user interface that is responsive and customizable and comes with several advanced features such as Bluetooth, Android Auto compatibility, Apple CarPlay compatibility, and Appradio mode+ compatibility. The most amazing thing about this head unit is how Pioneer invested their resources to improve the User Interface that was a major concern in previous versions. The new NEX features a powerful, intuitive and powerful touchscreen user interface that is highly customizable and easy to use. The NEX has the best compatibility with Android and IOS smartphones, thus allowing you to stay connected and allowing easy access to your phone apps. On sound quality, the AVH-2300NEX’s sound quality depends on the in-built Auto EQ, 13-Band Graphic Equalizer, Time Alignment, and the high/low pass crossover setting that can be used to adjust points for different listening preferences. From my many years of experience in dealing with car stereo systems, I would define the Pioneer AVIC-8200NEX as one of the few touchscreen car stereo systems that offer you the liberty of choosing the phone to travel with (both Android and Apple). It more than just the company’s flagship navigation receiver. It’s a multimedia wonder in the line of the best touchscreen car radios, thanks to its advanced 7-inch capacitive WVGA touchscreen display, and compatibility with Apple CarPlay and Android Auto. The capacitive display is designed with improved graphics that emits brighter, more vibrant colors than traditional resistive screens. Its increased touch sensitivity is also helpful for easier browsing. It comes equipped with the HDMI input that allows users access all media on the screen and inbuilt Bluetooth that allows you connect the stereo system with different devices. Theirs is also the special Mirror Link compatibility that’s very beneficial for Android users since it works with selected Android devices. The most amazing feature of this system is the onboard navigation, that allows drivers find their routes and you’ll never be stranded. The navigation features include lane guidance, junction view, enhanced street signs view, free traffic data, and maps of Canada, US AND Puerto Rico, among other features. The Boss BVCP9675 is one of the best addition to Boss Audio System’s line of touchscreen head units with amazing features to improve your day-to-day on-road experience. Though it doesn’t feature the DVD/CD feature like its predecessors, it comes with tons of listening options including the SD player, USB port, MP3, AM/FM, WMA, and other digital media. Like most systems in its league, it has Bluetooth compatibility, Apple CarPlay that integrates with your iPhone, and Smartphone and MP3 players Audio Out compatibility. It features a rear camera input that helps you when parking and reversing. The steering wheel controls are unique additions to its control unit to make driving safer and comfortable. Pre-amp outputs are also available to allow you to expand (split) your system by adding up to three amps and signal processors for dual-zone listening. The Boss BVCP9675’s highly defined connectivity is generally helpful for modern driving, where drivers enjoy the privilege of choosing their own style of sound from the inbuilt EQ. 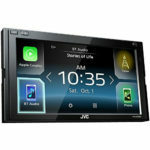 The JVC KW- M730BT is another good pick in the latest line of touchscreen car stereo systems. Its premium quality construction and high-grade sound quality, speaks much about its good reputation. This head unit is designed for those who have been demanding outstanding connectivity, great sound, and ease of operation. Its sound optimization features are built on cutting-edge technologies that support playback of high-resolution audio formats like FLAC/Vorbis/DSD, to the extensive set of sound adjustment commands to fine tunes and customize the acoustics to your preference. The most striking feature is the K2 Technology for better digital sound quality. This technology is designed to reproduce the original master sound by increasing the frequency range and bit rate. Then there’s Apple CarPlay and Android Auto compatibility that makes sure you can link up the system with your iPhone and Android smartphones for easy access to your apps. 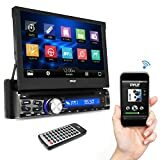 It also features Bluetooth AVRCP 1.5 for better connectivity that allows for Bluetooth to enable voice recognition and versatile song selection. Many drivers with single-DIN radios have often thought they are out of lack or need to have some serious modifications to fit into the modern world of touchscreen car radios. Fortunately enough, the industry has worked towards their comfort. 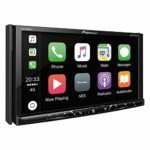 Pioneer AVH-3300NEX is one of the best single-DIN touchscreen radio with a 7-inch slide out resistive touchscreen display that offers both phone-based interfaces, and other features. It has an angle adjustment function to control the degree of sliding. The AVH-3300NEX is compatible with both CarPlay and Android Auto, besides including Pioneer’s AppRadio Mode, allowing you to access smartphone apps from the display. The screen has a sharp resolution of 800 by 480 pixels able to display different colors. 13 different splash-screen options, and brightness adjustment. Generally, the AVH-3300NEX is coming with all the necessary features that you would love to see in a single-DIN radio. This makes it easy to use as the menu is well laid out and logical. You can never speak of top car stereo systems without including Sony, thanks to their successful stay in the industry and production of some of the world’s best electronics. Sony can never forget about car audio in their wide mix of speakers, TVs, headset and other amazing products. The Sony XAV-AX100 with 6.4″ touchscreen boasts of the best functionality which includes touchscreen and voice controls. It features a 10-band equalizer that allows you to adjust and customize your sound at different frequencies. This in-built graphic equalizer lets you cut and boost (customize) 10 different frequencies for vast sound sculpting options. There’s the Bluetooth compatibility, Android Auto, and Apple CarPlay which work together to make driving smarter by giving you all the help you may need. Sony also offers three pre-outs, which will help drivers link their in-car stereo systems, and also create virtual speakers, all thanks to the new Dynamic Stage Organizer technology. It also comes ready for a rear camera input that is very helpful when reversing and parking. The inclusion of the dynamic reality amp and the ergonomic rotary distraction is beneficial for easier and safer operation. Are you looking for an affordable touchscreen car radio with the right features? The Power Acoustik PTID-8920B is the modern stereo system you can get for quite a good price. With the built-in Bluetooth 2.0 technology users are able to enjoy seamless music streaming and hands-free calling. You’ll also be able to access your contacts and access MP3 files from your device. It also features the SDHC Card Reader capable of reading up to 32GB SDHC card for MP4 video playback and MP3 audio and view saved photos (JPG). Another amazing thing about this unit is the subwoofer output that includes 80Hz low-pass cross-over RCA output. The rearview camera input is also available. The next unit on our list of best touchscreen head units is the much affordable Pyle PLDT87BT. Although Pyle hasn’t been in the business of car stereo production for the longest time, its units have earned a good reputation in the industry today. The PLDT87BT comes with a 7” high-resolution (800 by 400 pixels) touchscreen display that is detachable and allows for full control of the cars music and video files, and access to other media. It comes equipped with an in-dash CD/DVD player and AM/FM Radio. The built-in Bluetooth technology allows for a wireless connection that lets you play music and video from your device. You also be able to keep your eyes on the road, thanks to the built-in mic that works well with the Bluetooth support for hands-free calling. You can also connect several devices such as tablets, smartphones, MP5, MP4, MP3, and other devices through AUX IN, SD card reader, and USB port. The in-dash amplifier features digital LCD Screen for easy operation. Jensen VX7012 is another special navigation receiver that fits well in singe-DIN dash opening. It’s just more than just a typical car stereo with a large touchscreen display. It offers plenty of features that make the driving safe, easy and comfortable. The model features the IGO PRIMO navigation technology that has been specifically developed for automotive navigation to allow drivers access road maps easily. The navigation technology allows access to accurate directions across the US and beyond. Its built-in Bluetooth technology comes in handy for those seeking to access media on their devices through the touchscreen stereo system. You’ll be able to stream music and enjoy hands-free calling. Since you can connect Android and Apple devices, you’ll have the privilege of music streaming and playing videos on all devices. The BOSS Audio BV9976B is another great single-din touchscreen car stereo that any modern driver would dream of. This unit features modern Bluetooth technology and audio streaming support that allows you listen to music from your selected devices. Wireless audio streaming support via Bluetooth is compatible with most devices and you won’t have to worry about unexpected failures. With 8-watts pushing each of the 4 channels, the RMS rating lies somewhere between 40-45 watts. The 7-inch high-resolution touchscreen display with improved graphics lets users browse on the unit easily. You can customize the display with different colors. The unit has a massive connectivity support which includes; USB ports, SD card port, AV input, Aux input, wireless remote control, and CD/DVD players. 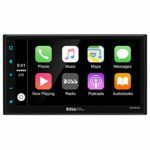 Buying a touchscreen car radio for the first time? Here a few things you need to understand before you start looking for one. Fore sure improving your car’s radio (stereo system) isn’t easy. First, you need to be familiar with your car system’s functionality and the type of stereo system it would accommodate. Your new touchscreen stereo system should be able to provide better accessibility, connectivity, and signaling features. The best touchscreen car radio offers all the necessary features most individuals need. Some might find voice-controlled access convenient, while other prefer hands-free calling. Some stereo systems offer digital audio playback, while some assure you of traffic data compatibility. Since there are several touchscreen head units on the market today, many people find it hard to settle on the right one for their cars. I’ve therefore put together a comprehensive guide on the primary factors you need to take into consideration when you’re out there purchasing one. Large displays are a better choice for anyone interested in having a fine share of convenience and ease of use. Large touchscreen displays are easier and safer to brown on. You never have the time to read small prints when driving. Large displays offer you the privilege to view metadata, song type, artist name, and much more in big letters. You’ll also have the advantage of split displays with traffic date and GPS navigation. Large displays are designed to make you feel safe and comfortable, as it offers you the best user experience. You won’t have to squint your eyes while browsing on large displays. A few years back when touchscreen car radio was introduced all you had to look at were the very tiny digital channel numbers. The displays, back then, were dimly lit with the worst visibility. Nowadays car stereo displays are vastly different. Touchscreen displays are the brightest and most colorful, with a better viewing. You should, therefore, choose displays with improved graphics with split-screen capability, bigger icons and more. Away from the much-hyped displays, you’ll also need to pay attention to the radio’s sound quality. It makes no sense to have a touchscreen radio with the best display but you still lack that fine sound quality. To get the radio with the great sound quality, you’ll need to look into enhanced processors, amplifiers, and adaptable fine tuning. This depends on the type of connectivity that the stereo system supports. The sound sources are the vital pieces you need to find in a memory unit. Besides, your system should have at least two sorts of the memory space based units – hard-drive memory devices or flash memory devices. What really defines a good touchscreen stereo system? Well, one of the most basic features that your car’s stereo should have is Bluetooth compatibility. This will help you pair it with any smart device for safe and easy access. Bluetooth also lets you enjoy music streaming and hands-free calling. Apart from Bluetooth connectivity, there are stereo systems with other application controls such as Pandora, Internet radio, and Spotify. The Dual-Zone listening capability is really helpful to big families and friends. If you have planned a road trip with your family or friends, it’s not surprising that everyone would want to listen to the same channel or music. For that purpose, the versatile dual-zone functionality is meant to separate the front and rear seat entertainment systems. That way, everyone gets to enjoy whatever they may prefer and you won’t have them fighting over controls. With the continuous technological developments, current car stereo systems are known to come with GPS navigation features and recently traffic data. Although this may seem too much for a typical touchscreen car radio system, this is just the beginning. Brace yourself for more in the near future. The GPS navigation and traffic data features are meant to improve your driving experience for better mobility. You can find alternative, shorter and easier routes with a simple touch on your screen or voice command. 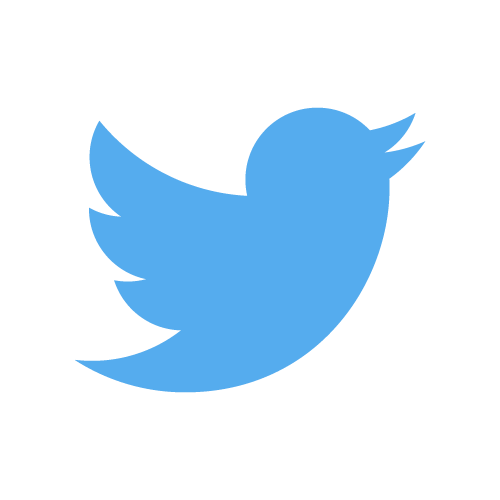 We live in a contemporary world where everything seems to improve daily. Today you’ll have a well-functioning device, only to wake up to a better version of it the next day. Hence, this requires us to always create room for upgrades. That said, you should also understand that there are stereo systems that offer direct replacement of outdated systems. This means you can replace the timeworn system with an upgraded one, without changing the receiver design or dashboard. Other key factors you’ll need to take into consideration include; preamp output, satellite radio, detachable screens, remote, easy controls, power, price and the latest rear-view camera.